Q: What size tree should I have? One definition of a tree is a woody perennial plant. Trees are often confused with shrubs. A generalistic distinction is that shrubs have many branches near the ground whereas a tree usually has a distinct stem or trunk. An alternative definition is that a tree is over 15 feet tall when fully grown. Anything under is a shrub. The tallest trees, as most people know, are the giant redwoods of <?xml:namespace prefix = st1 ns = "urn:schemas-microsoft-com:office:smarttags" />California which can reach 350 feet tall. Tree trunks vary enormously too. 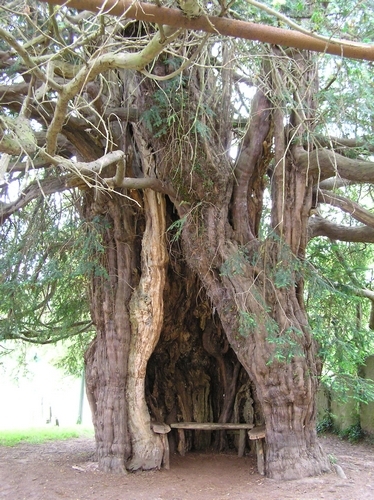 A Yew Tree at Ashbrittle in Somerset has a forty foot girth. There are many Yew trees in England which have a hollowed out trunk (naturally hollowed, not done by man) large enough for seating to have been put inside it. This is one very famous Yew tree at Much Marcle in Herefordshire. Oak trees also sometimes have hollows. 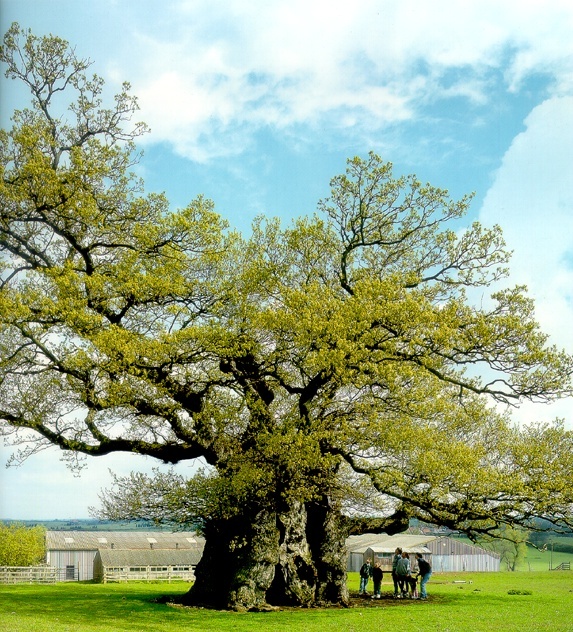 However, look at the statistics above which show the girth of this Bowthorpe Oak tree compared to the top growth! It's girth is larger than it's height! Q: Some of the pictures on this site look like real trees. Are they all models? 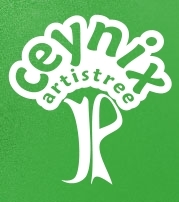 A: All trees for sale on this site are individually handcrafted with great care by Ceynix from wire and clay. None of the photos have been electronically altered or enhanced. Q: Your trees look good, but are not inexpensive. Why do they cost this amount? A: There is a lot of labour involved in making these trees. It takes many hours to create the branching structure, shape the trunks, colour them realistically, and make the foliage light and airy with transparency. Each tree is hand-crafted to our very high standards of quality. If we could make trees more quickly without compromising quality we would. See our TreEconomy range where the trunk detailing is not done to save time and cost. Q: How do I use the trees that are not in pots? A: There are some that are on bases which can stand alone as a scenic detail; and some that leave you free to put your own boundary around them or to sink them into your garden. It is not realistic to have a large tree in a pot as it would stop growing, possibly dying, as it becomes potbound. Generally the largest Ceynix trees in pots are around ten inches tall which is a scale ten feet in 12th scale. There are also some smaller trees in pots suitable for 24th and 48th scale, as well as a 144th lawn and tree waiting for the right gardener.